mr. c has a great eye. mr. c got right on it. but, it could't just be the cabinets. 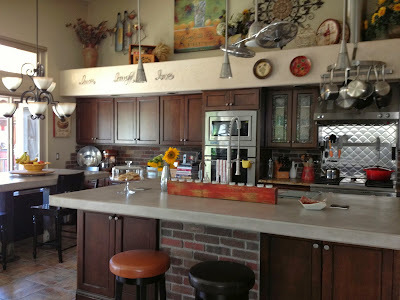 the refaced cabinets were too dark against our paint. our island was not user friendly. therefore, we needed to knock it out and re-do it. 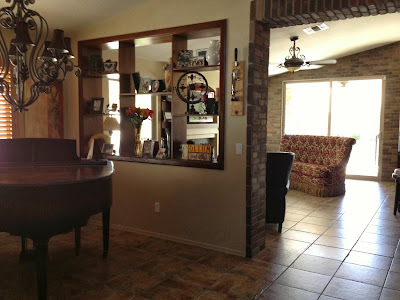 and we need to add brick accents around the new island and back splash. 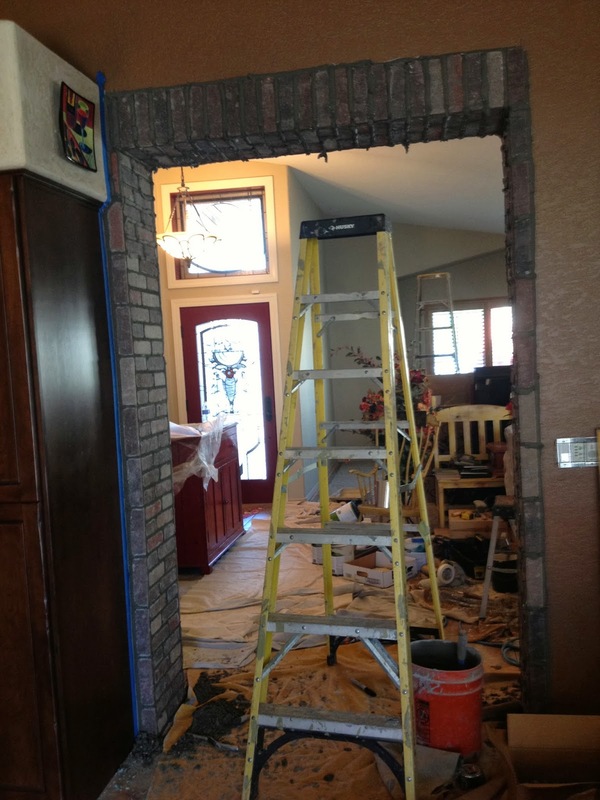 and, while we are at it, let's add brick around the entry way of the master bedroom. 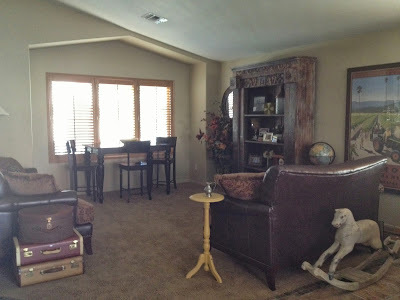 as we moved and shuffled furniture to and fro... we could not find a home for the wine fridge. so, a "wine closet" was created out of a hallway closet. we are just about done. our a/c went out in the middle of all this. 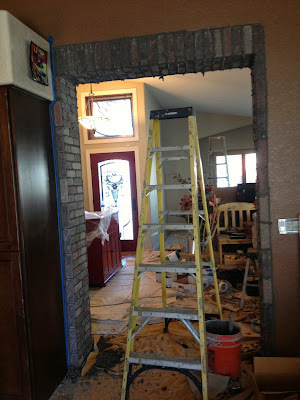 painters and brick and mortar guys were working in our 100 degree home. we tried to live in it. and mr. c and i almost divorced over it.